A writer (Rafe Spall) in search of a good story gets the hint that Pi (Irrfan Khan) has an interesting one to tell. 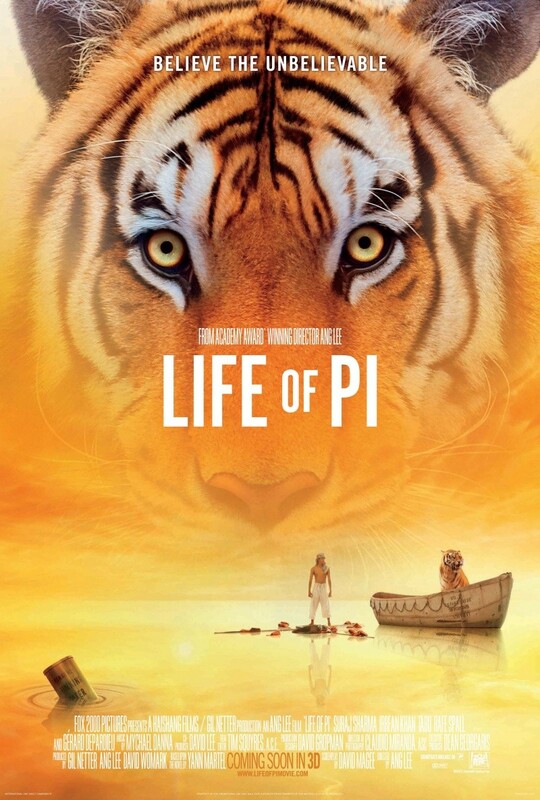 So he asks for an interview and hears all about how Pi was shipwrecked and ended up alone on a lifeboat with a zebra, an orangutan and a tiger – Richard Parker. As if survival alone at sea wasn’t difficult enough. But with the shipwreck, Pi’s journey is only beginning. I read the book a few years ago and I really didn’t like it. But Ang Lee was enough to draw me into the film anyway. And I am glad I went. Despite the movie’s constant attempts to force god down your throat. The movie was just that beautiful.